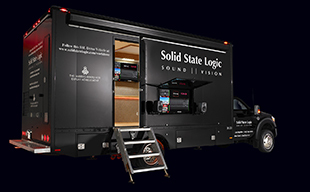 Today SSL’s Studio Production Tools lead the way in delivering hybrid production systems that combine the very best of analogue & digital audio technology with hands on control over the DAW environment. In this brochure: XL-Desk, Matrix2, Sigma, Nucleus, Analogue I/O and Processing, View here, and SSL Native Plug-ins. View here.